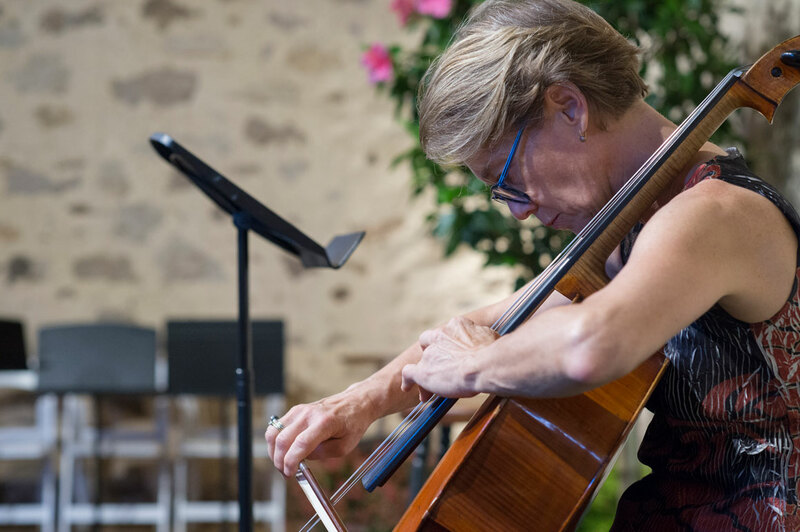 Cellist Michelle Djokic still recalls the palpable relief she felt as a student musician when she was not the one in a chamber music group or orchestra being picked on by a conductor or ensemble leader. At the time she believed shaming and bullying were part of the learning process to become a professional musician and didn’t challenge the status quo. Fast forward 30 years and the Palo Alto-based musician says not much has changed. Recently she watched a colleague being humiliated in front of an entire orchestra. “That left me feeling ashamed of myself for not having had the courage to walk out of rehearsal in protest,” Djokic says in an email. “There are many reasons musicians accept that kind of behavior, including fear of losing your job, your reputation, or being labeled a troublemaker,” explains the sought-after international soloist and Grammy-nominated recording artist. A union intervention in a chamber music setting to resolve conflict is often not possible because, unlike professional orchestras, chamber music groups are not governed by a union although union musicians may play in a chamber group, according to Djokic. After the recent incident with the orchestra, Djokic found solace speaking with colleagues who shared her feelings. But solace was no longer enough. She wanted to do something about the problem. The tipping point came when she heard her two teenage children and their friends talk about bullying and shaming at school. In their stories and what she’d witnessed in the classical music world, she reached her own times up moment. Inspired to action, Djokic founded a chamber music group, Musikiwest, in 2017. A key part of its mission is using scripted rehearsals in middle and high-school classrooms to address issues such as bullying, shaming, and exclusivity. The result becomes an interactive experience as students and musicians alike try to resolve the scripted conflict among the musicians. The idea is to harness the collaborative working process of a chamber music ensemble. National statistics on the prevalence of bullying and its impact on children demonstrate the extent of the problem. According to surveys cited on its website by the American Society for the Positive Care of Children, a national, nonpartisan, California-based nonprofit group, 160,000 children per day skip school for fear of being bullied. When bystanders intervene, the bullying stops within 10 seconds, 57 percent of the time. Thirty percent of youth admit to bullying. One in three students are bullied at school. And 70 percent of bystanders have witnessed bullying. 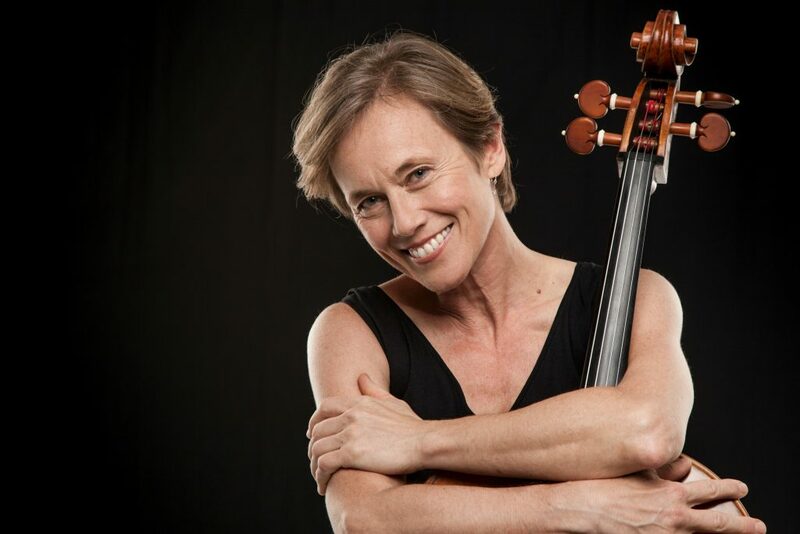 SFCV reached out to Chamber Music America via email for comment on the prevalence of bullying or shaming experienced by its musician members but did not receive a response by press time. Once Djokic had a blueprint for her project, she knew she wanted to collaborate with a mental health professional. Through one of her board members, Djokic was introduced to Stanford psychiatrist Rona Hu. Hu had already been working with parents in the Palo Alto school district, scripting theatrical vignettes to raise awareness of mental health issues, including depression, suicide, bullying, shaming, and exclusion, among teenagers. Palo Alto had one of the highest rates of suicide in Santa Clara County of youth age 10 to 24 years old between 2003 and 2015, according to a 2017 report by the Centers for Disease Control. Djokic didn’t know of Hu’s program using scripted vignettes when she first mapped out her vision. “My idea was completely my own,” she says. Hu was initially skeptical when Djokic proposed her concept. “I didn’t think at first that music would work but each time we do it, it’s different, it’s fresh,” says Hu in a telephone interview. The process starts with Djokic writing a script. Then Hu watches the first rehearsal with the musicians. “This gives Rona a chance to better understand each of our personalities and we learn which behaviors we want to address,” Djokic explains. Based on her observations, Hu collaborates with Djokic to suggest which musician should play what role. Sometimes Hu might choose two musicians who speak a foreign language to converse in that language during a rehearsal break to illustrate how that might make other musicians in the group feel excluded, or concerned if they’re being talked about. Hu usually will choose one musician to play the bully, another the victim, and the others to behave in ways ranging from uttering highly audible sighs of exasperation to complaining out loud about a colleague’s musical ability. Hu believes the approach has benefited the musicians involved as well. “A lot of them have had overlapping experiences with bossy conductors, or maybe, for example, the bossy person in the horn or violin section. For them to be able to say in front of everyone, ‘Hey, I got through this,’ is healing,” she says. The experience of being shamed and bullied can have lasting repercussions on children but also on musicians, according to Hu. “If you make a person feel like they’re defective, that’s not going to make them a good musician.” For musicians, such experiences can have a steep professional and personal cost. “People become convinced they have no talent, then they stop doing this thing they love,” she says. Hu should know. As an adolescent she studied piano. But she also played violin, self-taught on a $50 yard-sale instrument. 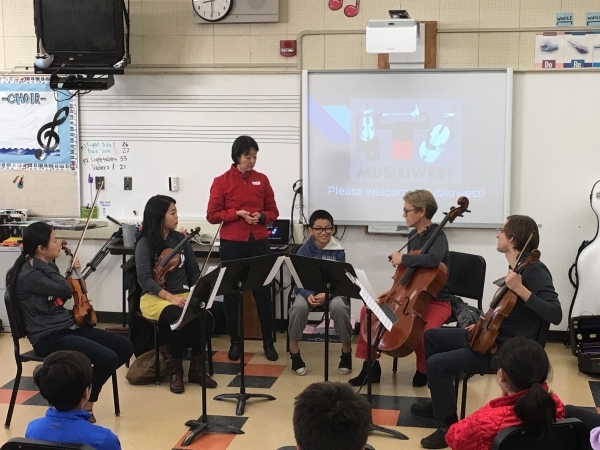 When she moved from first violin, first chair in her middle school orchestra to second violin in a local youth orchestra, things changed for her. During one youth orchestra rehearsal, the conductor singled her out for a noise he complained she was making. Mortified, Hu stuck it out in the orchestra by miming that she was playing her violin; she bowed a millimeter above the strings so as not to make any sound at all. She never picked up a violin again. Musikiwest presents a program at the Mitchell Park Community Center on Thursday, Sept. 20. Journalist Molly Colin writes about the arts and cultural trends. Don’t miss a thing… Sign up for our mailing list!